Here’s another fine gift for the reader in your life. Or for yourself. Sherri Cook Woosley is another Taos Toolbox veteran whose book appeared in the same week as my previous recommendation, Lauren Teffeau’s Implanted. 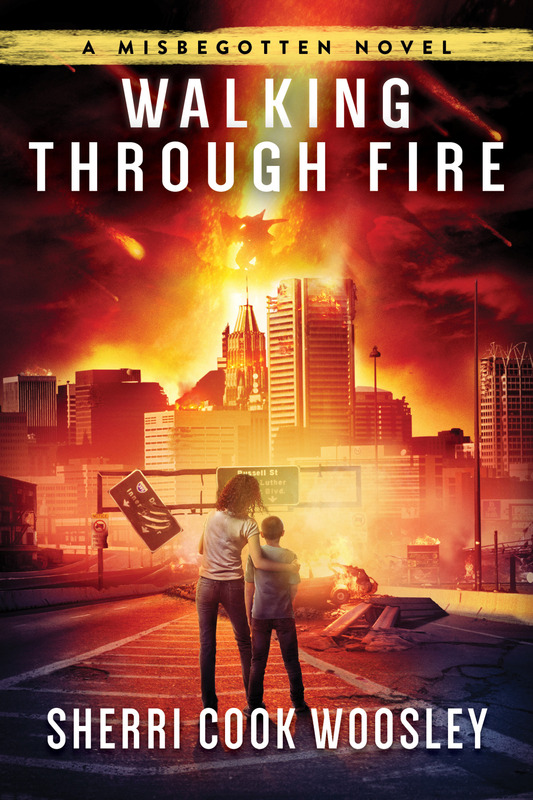 Walking Through Fire, from Talos Press, wasn’t workshopped at Toolbox, but we workshopped the sequel, and it was a nonstop rocket ride through a contemporary landscape that has had, basically, the entire content and architecture of myth and fantasy dropped in its lap, with horrific and unpredictable results. For fans of American Gods, a dark, humorous, and richly written, dystopian fantasy about the unbreakable bonds of family and the undying strength of a mother’s love. Desperate to stay away from the carnage—as well as the germ-ridden refugee center—Rachel and Adam flee to their remote mountain cottage, only to find their refuge marred by mutated, grotesque plants and animals. Eventually, the cancerous cells in Adam’s body begin evolving as well, threatening his life and forcing Rachel to venture back into the eye of the storm. Left with no other choice but to sacrifice her own freedom for her son’s safety, she must become an unwilling warrior in a battle unlike anything seen in millennia, or lose everything she holds dear. One reason to like this is because it’s about a mom fighting for her kid, and you don’t see a lot of that in genre fiction. Another is that it features both a Jewish motorcycle gang and a dragon. I recognized the road signs as being on IH-95 northbound in Baltimore which caught my interest. And I really liked American Gods. Off to Kobo now.